Beware of the ‘spin artist’, if you own or are investing or are going to work for a business. 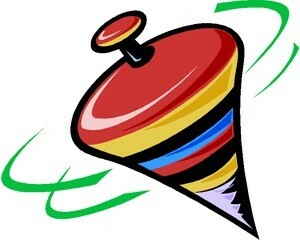 Well done spin can create a short-term illusion but nothing of lasting value will result. True results are more than a cleverly disguised and often an exploitive quest for the bottom line, at the expense of the employee and customer. There are two broad categories of leadership. First, we have the great speechmakers, the ‘spin artists’, who only superficially engage but do not produce lasting results. They successfully go from position to position, selling themselves and their ‘strategies’. They then employ their ‘spin’ skills and do a great job explaining why it isn’t happening. In fact, they often do such a great job of explaining their failure, the board of directors or owners feel lucky things aren’t worse! Then off to the next opportunity to repeat the same ‘spin’ and lack of results. Second we have the truly competent leader, who believes in the ‘The Four Walls Theory’ and takes responsibility, believing everything is within his or her control. Employing the ‘Beach Ball Theory’ to acquire the necessary knowledge and points of view to solve the problems that produce lasting results. It’s easy to see, one is playing checkers the other chess. To distinguish between the two, turn off the ‘spin’ and look only at the results. Telltales of the ‘spin artist‘ are, cleverly named plans/strategies, impressive acronyms, complex buzz words, and a lot of frantic activity. 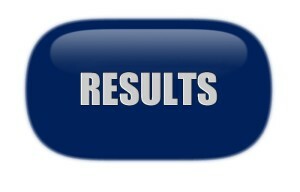 Results, if any are from cost cutting solely for the benefit of the bottom line. 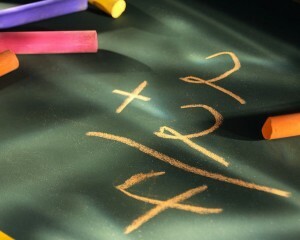 Producing lasting results is much more difficult than creating a cleverly named strategy and cutting costs. Developing and implementing a business strategy is only worthwhile if a beneficially balanced result is produced. The ‘Triangle Theory” gives us the formula for accomplishing a balanced result. This takes effective leadership that is guided by core principles, a standard of excellence and clear goal. Focus is on people vs profits, investing in the employee and customer, letting them produce the bottom line. Don’t be misled by or become a ‘spin artist’! 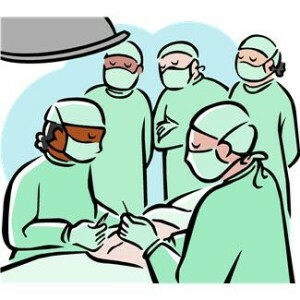 Think about it, you wouldn’t want a ‘spin artist’ for your pilot or surgeon. 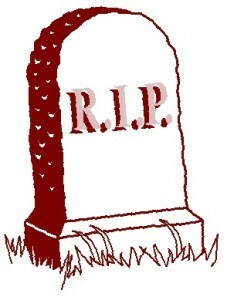 A great explanation at your funeral of why things didn’t work out, is not the result any of us want. ‘Spin’ doesn’t work for these critical jobs and it doesn’t work for leadership. We have all heard this quote many times. Knowing where you are going (having a goal) makes it easy to find the road that will ‘take you there.’ A goal eliminates confusion and prevents working on the problems that will not help achieve it. A goal helps you to focus on only the problems, out of the many that surround you, that matter, the ones that will ‘take you there’. 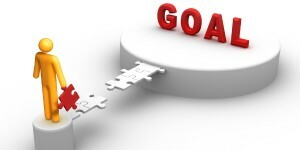 Amazingly, many organizations and individuals do not have a goal. In an organization this is caused by either poor communications, weak leadership or both. For individuals it is from not taking the time to stop and establish priorities. Principles are critical to choosing your goal. Your principles will lead you to the best goal and give it a lasting, solid foundation. 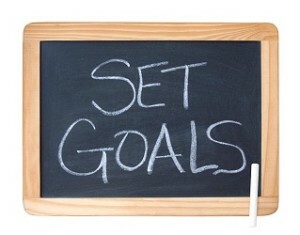 A properly selected goal will give an individual or organization the confidence of clear direction. The shared knowledge of this goal empowers everyone in an organization to work together, powerfully toward a common objective. This gives both the individual and individual members of an organization the knowledge and freedom to act, producing timely results! Now, let’s examine how having a goal helps solve problems. 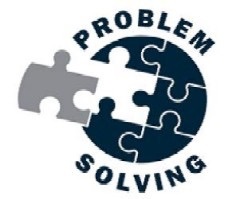 It is easy to be overwhelmed in business and personally by the number of problems that surround us. Randomly attacking in every direction seems futile and as a matter of fact, it is. Years ago I came up with a metaphor to illustrate how goal setting gives focus to the problems that matter and eliminates the rest. Let’s imagine you just attended the Super Bowl and the game is over. 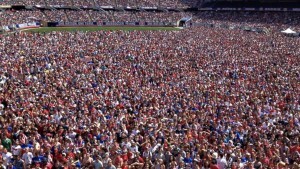 You are in the middle of the field, surrounded by people that are very tall and well, you’re not. Your goal is to find where you entered the stadium because that is the exit you will use to find your bus. You look around and see nothing but belt buckles, purses and back pockets. 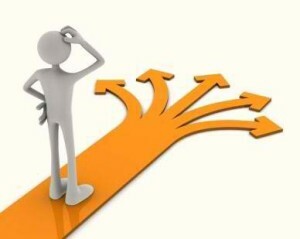 You are surrounded 360 degrees with decisions. Which person do I go around and should I go right or left. Survival school will tell you without a compass or some form of direction you will wander around in circles. Then you look up and above the heads of the crowd you see the flag pole on top of the stadium and you remember it is above the opening where you entered. 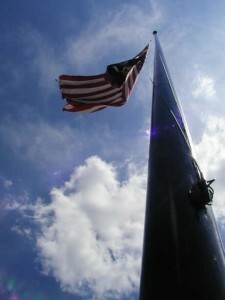 Suddenly all decisions evaporate into just those that take you toward the flag pole. We call this “The Flag Pole Theory”. The analogy demonstrates the value of having a goal. 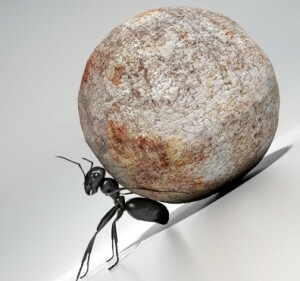 It shows how a goal eliminates working on anything but the problems that take you toward it. While still surrounded by problems you can now focus, on just those that matter. 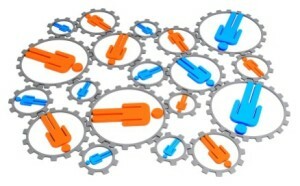 If you are with a group and scattered, with a common goal, you will all arrive at the same exit (your common goal). 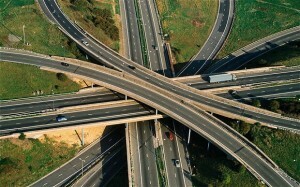 While simplistic, this metaphor will help you find ‘the road that takes you there’. 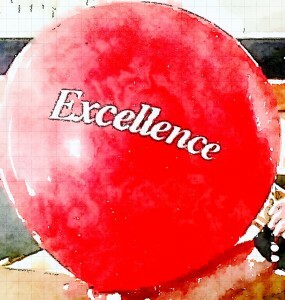 Excellence is the ultimate standard that is essential to and found in all great achievements. The list goes on and is virtually endless. 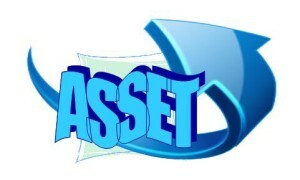 Look carefully at the organizations and individuals commited to excellence and you will see these assets and many more. CAUTION!! The #1 enemy to achieving and maintaining excellence is compromise. It is insidious the way compromise creeps in, brings confusion and immediately eliminates excellence and it’s asset value. Once begun where does it stop? Look for compromise: “Does it really have to be that good?” “Let it go just this once!” “It is too complicated and we need to cut costs!” “This is much easier.” “Well, the boss did it.” “Look at how much we will save!””No one will notice, it’s not that big a deal!” and on and on. By it’s very nature excellence cannot be compromised. Well run organizations are built on a foundation of core values, standards and goals. This is principled management. Compromise of this foundation breaks trust and demoralizes the organization. Compromise occurs when the founding values are nothing more than a meaningless plaque on the wall or document in a drawer. 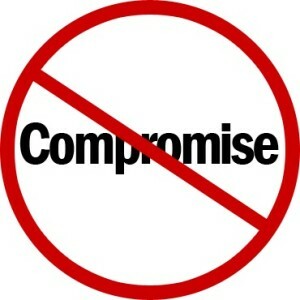 Compromise also occurs when management violates and does not lead by established core values, standards and goals. Have you been in an organization that publicly states one set of lofty values but in reality practices a different set of values or none at all? Great leaders practice principled management and are role models of strength and integrity. They implement and ‘live and breath’ the organizations core values. This means ‘walking the walk’ even when the chips are down and the decisions are difficult. You can trust that a great leader will have your back and will not compromise core values. 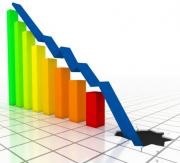 Great leaders do not fall prey to pressures, like the bottom line or stock price and make expedient decisons. 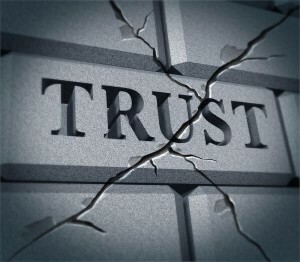 Once any leader compromises principle, trust is broken and their leadership is compromised. Quality in every aspect of life relies on good decisions. 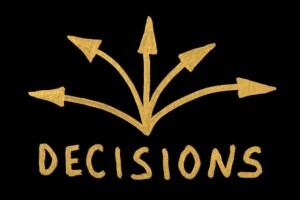 Good decisions rely on good information. For information to qualify as ‘good’ it must be complete with information from as many sources as possible. 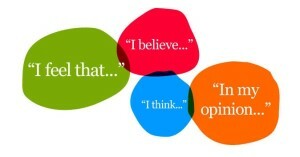 To accomplish this one must seek all points of view, even those with which you may disagree. Here is a helpful metaphor, picture a multi-color beachball so big that people, equally placed around it, can only see one of the colors. Assume the quality of your decision relies on accurately knowing all of the colors of the beachball. To do this obviously you must get everyone’s color (point of view). 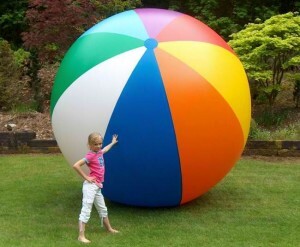 How many times have you had to memorize the color of the beachball the boss sees because that is the only color ( point of view) considered? How many times have you seen facts ignored or not completely gathered because of someone’s preconceived opinion, feeling or belief? The most frustrating misguided opinion is “well, that’s the way we have always done it!” end of discussion! 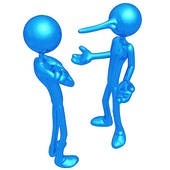 It is all too common for leadership to start with a conclusion and only look for the facts that support that conclusion, basically saying “it’s my way or the highway” or “don’t confuse me with the facts”! Starting with the conclusion will never lead you to the “truth” and certainly not lead to the best decision. 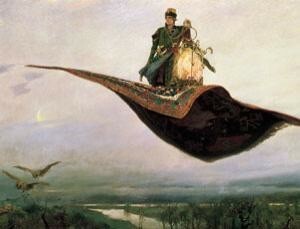 ‘Levitation’ is the magic carpet ride of business. The ‘Triangle Theory’ is the formula that teaches the importance of balancing the focus and benefits for all stake holders in an enterprise. When the bottom line is the primary focus, usually at the expense of the employee and customer, magic opportunities are missed. It has been demonstrated that if you invest in your employees and customers the bottom line will take care of itself. Picture customers so happy that they tell everyone, come in often, bring their friends and handsomely reward your employees. Picture employees so happy with the company and treatment by the customers they bring their ‘A’ game and more everyday. The company wins with all the free advertising, high employee morale and low turnover. 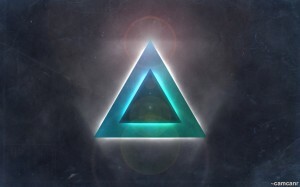 Magic happens when each side of the triangle is motivated to do more for the other and the equation feeds on itself. This is ‘Levitation ‘ and it’s Magic! There are many business strategies and by their focus I divide them into two broad catagories. The first and most common is the financially focused strategy. 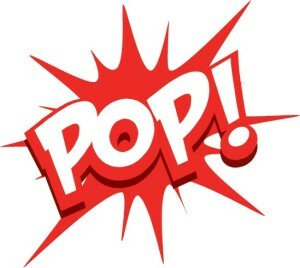 Usually employed with buyouts or take overs by conglomerates or financial institutions, like venture capital firms. It can be very profitable. 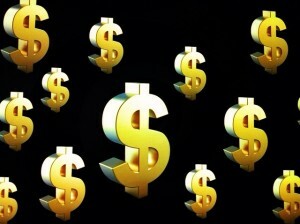 Assest are sold, costs are cut and the bottom line, on a time table, is king. The goal is a short term flip! The problem is usually nothing of long term value is built and the gains are at the expense of the employee and customer. I prefer ‘the other side‘ of business, management by principle. This strategy requires the establishment of core values, standards and goals. Through this foundtion you can build a commonly driven and empowered organization. The standard for principled management is excellence. 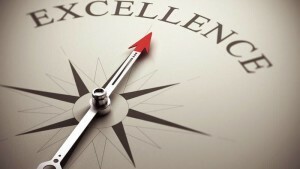 Excellence brings morale, pride and performance. The formula for principle driven management is what I call the ‘Triangle Theory’. Balancing and maximizing the three sides, represented by the employee (priority one), the customer (the ultimate focus) and the company (the ultimate beneficiary) is the goal. Properly done this formula results in what I call ‘Levitation’. 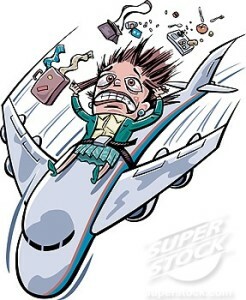 You have seen the result of levitation almost everytime you see an unusually successful endeavor!! It takes vision but this strategy will result in a bigger and longer lasting ‘financial’ result. Some are good at explaining WHY they didn’t get the result, others are good at COMPROMISING the standard to get the result. Both usually spend a lot of time proclaiming how hard they work and how much EFFORT they have expended but avoid any real measure of the result. This however does not work where the result is critical and is the focus….astronauts, professional athletes, airline pilots, brain surgeons and…. well, you get the idea! 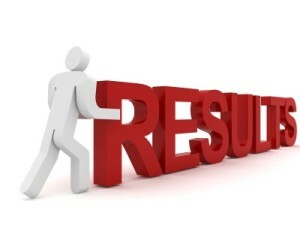 For success in any endeavor results are the only measure that counts. You cannot bank or eat effort! 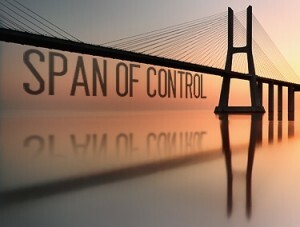 The first big hurdle when growing a company or advancing as a manager is executing the increased span of control without compromising the result. 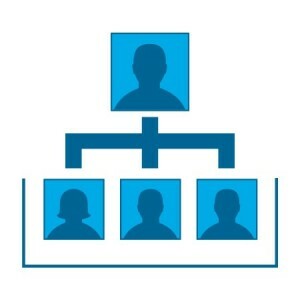 As a manager or as a company, a critical step is made when going from single unit to multi-unit operations. Mangers who were great when running a single unit often fail when given multi-unit responsibility. 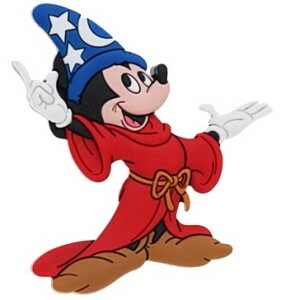 Entrepreneurs with a great and highly successful concept often cannot expand and keep their “magic”. It is also common to see successful multi-unit operations purchased only to begin to decline. Compromise is most often the culprit. When faced with an increased degree of difficulty the easy answer is to reduce the degree of difficulty by lowering the standard. Great efforts in business and sports, however, are hallmarked by ever increasing standards. The answer is NEVER compromise your standards. NEVER compromise the result. Great management and great coaches relentlessly pursue systems and training until the result is achieved but NEVER resort to compromise!